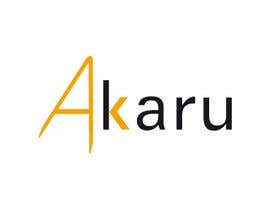 Our company is called "Akaru" and we design,import & export Furniture/lamps wordwide. Now we would like the Logo to describe the two main services. This by a Compass symbol. We use compasses to design and draw our furniture and lamps. 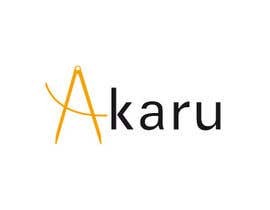 And you use a compass to Navigate the seas (we mean by that the import/export).Also, if this helps, akaru means bright in Japanese. The key is to use this creatively, as negative space? can you please "morph" both compasses in a cool symbol? Or do you have another idea that fits the description? We know what we want..we just need you to shape "our vision" logo. In a way that we can say "THAT"S IT" while snapping our fingers and skipping joyfully into the Horizon.. :-) this is me being funny. Sorry. Please check #124 #134. Thanks. Kindly check my design #125 .Thank you. hi check #93,#94,#95,#96 Thank you. What happened with your same exact contest from a few weeks ago? Why are you creating a new one? Did you even choose a winner there? Just curious, cause this is a bit strange, don`t you think? We weren't fully happy at the end and wanted to give this a try again. We unfortunately needed a while to figure out the direction. Hence , we lick our wounds and go for it again.